HomeBlogVariousRed Bull Art of Motion 2012 Santorini Parkour. 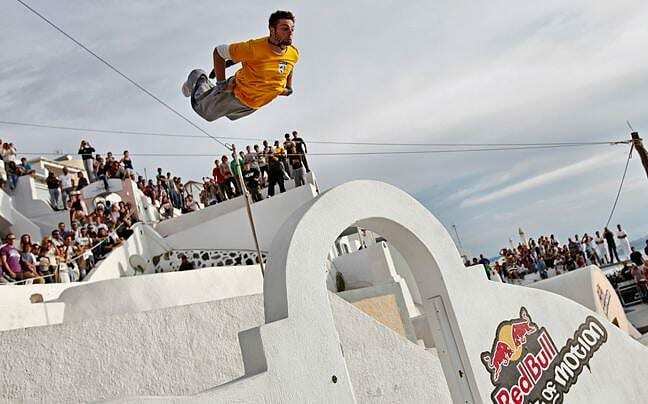 Next Saturday (September 29th 2012) the world’s best urban artists will gather on the beautiful Greek Island of Santorini to participate in a breathtaking Parkour competition at Red Bull Art of Motion 2012. In the unique ambience of the immaculate white city of Santorini, perched on the rocky cliffs, 21 Traceurs will compete against each other, defying gravity and juggling on the roofs and alleys of the island in the process. Risky climbs, incredible leaps and daring tricks produced an intense and fascinating race until the finish point. Rooftops, domes, terraces and swimming pools, are all part of the extended course with a height differential of more than 50 meters that the athletes have to master within the given time limit. 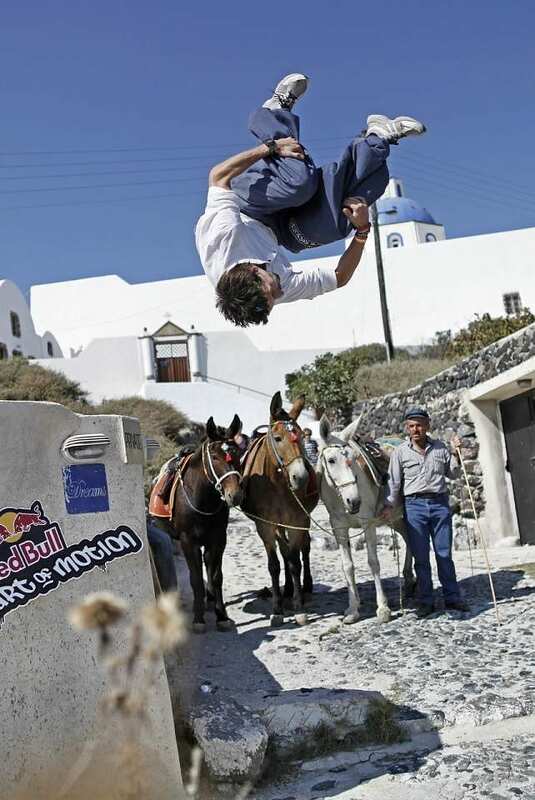 This is the second time Red Bull Art of Motion takes place in the island of Santorini. Before the main event lets recall what happened last time at Red Bull Art of Motion 2011. Pavel Petkuns from Latvia was the eventual winner, French Yoan Leroux finished second, and the podium-trio was concluded by Belgian Gaetan Bouillet. Fashion-forward automaker MINI was a main sponsor of the event and they had one prize of their own to honor a daring athlete. The “MINI Sickest Trick Award” was awarded to Paolo Tavares after he performed a flawless Gainer Precision trick. 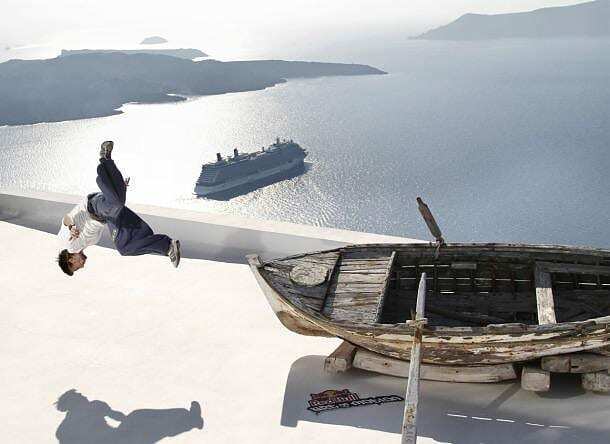 All athletes who participated to the event were amazed by the beauty of Santorini with the winner stating that “It was a magical race in a magical course.” So Firostefani, (the area of Santorini were the event took place) was established as “The paradise of Parkour and Freerunning” and was baptized the most “natural” Parkour course in the world. 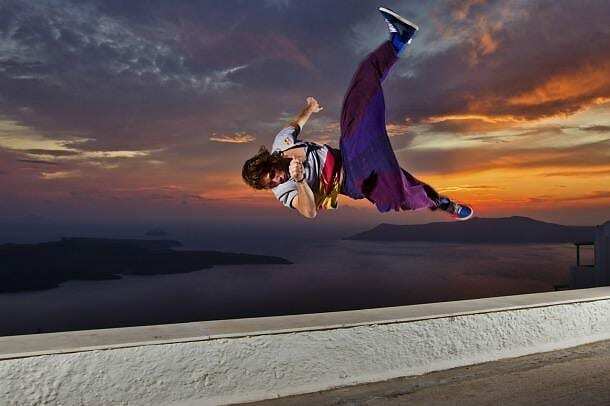 Check below a collection of the best action moments, with the magnificent sunset of Santorini as a background (all pictures and the video are from Red Bull Art of Motion 2011). In 2012 the Red Bull Art of Motion will be held for a 5th consecutive year.